trouble free at all surfing times. 2. Abide by all cyber rules, regulations, and laws wherever they may apply. 3. Be wary of accepting advice from cyber friends on the Internet. 4. Don't flame, spam, spim, phish or vish. 5. 25 Forum Posting Etiquette Tips by Pamela S Stevens. ● Online Etiquette Guide. Online Etiquette (Netiquette). Good Practices for communicating and participating online, from Madison College. ● 25 Forum Posting Etiquette Tips by Drifter, from mybroadband.co.za, Feb 18, 2018. (Source: From original article by Pamela S Stevens, TopTenReviews, September 21, 2015). ● Forum Etiquette from Wiki Arch Linux. 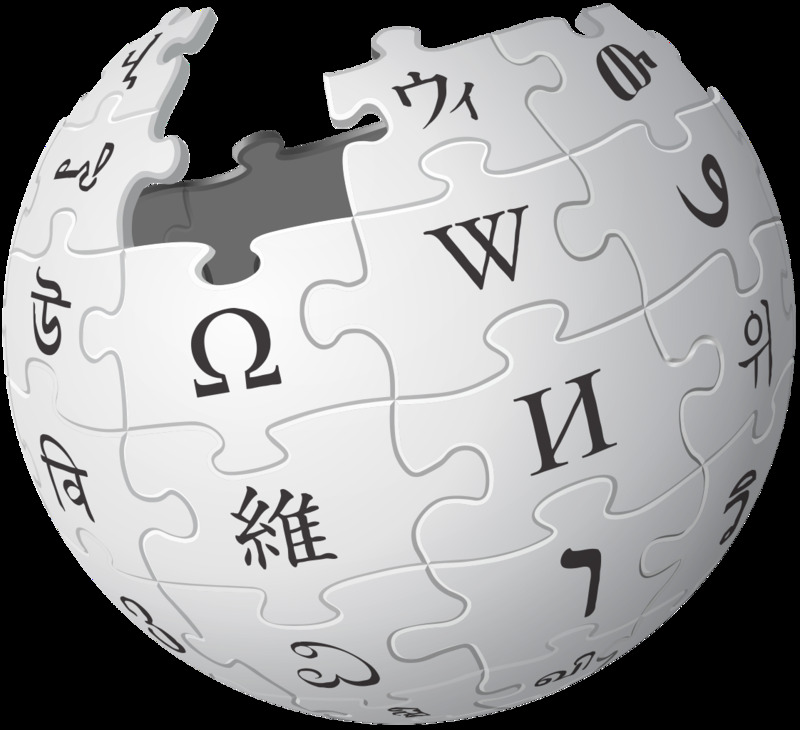 ● Etiquette in technology from Wikipedia, the free encyclopedia. - "Netiquette, a colloquial portmanteau of network etiquette or Internet etiquette, is a set of social conventions that facilitate interaction over networks, ranging from Usenet and mailing lists to blogs and forums." - Online etiquette - Digital citizenship is a term that describes how a person should act while using digital technology online and has also been defined as "the ability to participate in society online". 6. Don't accept opinions, rumors, unsubstantiated comments as Gospel truths. Be wary of propaganda and biased information. 7. Check original and reliable sources to verify accuracy of information whenever possible. Develop a habit to critically evaluate all content on the Internet. 8. Guard against viruses and hackers, take absolutely NO chances. See ClamWin Free Antivirus, or Anti-Virus or AntiVirus for a free download. 9. If you have access to an anti-virus program with live update feature, update frequently and have auto-protect running on your computer. 10. Remember to disable auto-protect before installing new software on your computer if your program does not automatically do it for you. ● The Definitive Guide to Internet Privacy & Online Security from Premier Choice Internet. Contents include: 1. Introduction to online privacy. Who is tracking your personal data? Keeping safe online with tablets & mobile phones. 2. How to shop safely on the Internet. How can I check a website is secure? Phishing & fake online webpages. 5 tips for keeping safe when shopping online. 3. Online theft, viruses & malware. Understanding viruses and malware. Protecting yourself from online threats. Most common Internet scams. 4. Social media security. Personal privacy tips for social media. ● 6 Tips for Smart Online Shopping from Warranteer. ● 7 Ways to Protect Your Privacy Online by Kara Brandeisky, Money, June 5, 2014. ● Internet privacy from Wikipedia. ● How Privacy Vanishes Online by Steve Lohr, Technology, New York Times, 16 Mar. 2010. 12. If you must enter your password, give personal information or credit card numbers online, do so cautiously and only if you are sure that the Web site is secured. A KEY or PADLOCK in yellow or in a yellow box is visible at the bottom of the screen when the site is secured. Note also that in the address or URL, the hypertext transfer protocol "http" will change to "https" indicating that the site is indeed secured. Never shop online without using a secure browser such as Internet Explorer, Moxilla Firefox, Google Chrome, Opera or Apple Safari. See Online Shopping Tips for more information. ● The Safer Way to Click and Buy from RBC Royal Bank of Canada. Follow these six key tips to keep your personal (and financial) details private. 1. Protect those passwords. 2. Be cautious about convenience. 3. The preferred way to pay. 4. Use apps appropriately. 5. Cross-border shopping. 6. Help your bank help you. ● Places to Never Use a Debit or Credit Card to Make a Payment from AOL Personal Finance, Jun 9, 2015. 13. If you experience something suspicious online or know something is dreadfully wrong, notify someone you trust immediately. 14. Read carefully agreements, important notices, terms and conditions, before subscribing, downloading, registering, buying, ordering, or "signing" anything online. 15. Be very cautious when downloading free software. Some sites provide free download of software but long distance charges may apply for every minute of download. Some sites ask you for your credit card information before free downloads or first 30 days free usage. 16. Be careful what you say (i.e. type) while you are in a chat room. Don't say anything that you may regret later. What you say could be permanently saved or printed by any party "conversing" with you or "listening" to your conversation online. 17. Never leave your good personal email address to anyone in a chat room, discussion group, newsgroup, on a bulletin board, or when using an instant message service. 18. Don't send anything by email, or attach anything to an email that you don't want the WHOLE WORLD to read, see, hear, or know about, now or in the future. It may come back to haunt you when you least expect it. Remember that an email is a written record accessible by anyone, anywhere, at any time, FOREVER! An email and its attachment could be easily stored, printed or redistributed by anyone. "Be careful what you say in your work email account, or in your company Slack channel, or anywhere a record is kept. You never know when and where it'll come back to haunt you." ~ From article: "The cofounder of Google's Android just proved why you should always be careful what you say in work email" by Matt Weinberger, Business Insider, 12 May 2016. ● Be wary of requests for money from a friend or relative in trouble. Fraudsters sometimes hack into social media accounts and make monetary requests to get unsuspecting victims to wire them money. ● Don't click on links from people you don't know, especially if these were received via a private message. This could lead to the installation of financial malware or other harmful software on your device. ● Don't post sensitive personal information or disclose financial information pertaining to yourself or others through social media. Legitimate businesses should not ask for sensitive information or pressure you into providing it through social media. ● Familiarize yourself with the social media site's privacy settings, which allow you to choose how much personal information you reveal and to whom. ● Limit access to close friends, relatives and coworkers. Spend a moment vetting new requests, ensure you actually know the person or business and want them to see what you post. A strong password is one that's difficult for others to determine by guessing or by using automated programs. Do not use single dictionary words, your first or last name, date of birth, or other personal info that can be easily obtained, or a password that contains part of your email address or phone number. ● Is NOT a common word or name, or a close variation on a common word or name. ● Contains 7 to 16 characters. 21. Don't use the same password at multiple sites or for all your email accounts. If you have more than one email account, use a different password for each account. Use your own association method to link account with password to help you remember the two. However, you need not worry unduly if you cannot remember your password as most sites will send you an email to assist you with a forgotten password - just don't forget your account, or you may have trouble cancelling the old account to open a new one. 22. Personal account and financial information are often obtained by scam artists who send unsolicited email to unsuspecting users asking them to "update" their account information. See Scams and Safety - Cyber Crime from Federal Bureau of Investigation (FBI). Be Careful What You Download: Carelessly downloading e-mail attachments can circumvent even the most vigilant anti-virus software. Never open an e-mail attachment from someone you don't know, and be wary of forwarded attachments from people you do know. They may have unwittingly advanced malicious code. ● Scam Meter from Financial Industry Regulatory Authority (FINRA). Check to see if the investment is a scam. Email and Web Scams: How to Protect Yourself from Microsoft. The Top 10 Internet and Email Scams by Paul Gil, Lifewire, Updated July 4, 2017. Government Imposter Scams. How to Recognize a Government Imposter. Five Ways to Beat a Government Imposter Scam. Report the Scam. Student Loan Scams from Federal Trade Commission (FTC). The sneakiest new shopping scams: Easy ways to avoid the biggest rip-offs online and in stores from Yahoo! Scams and Fraud from Royal Canadian Mounted Police. Stop Scammers from Targeting Your Teens by Elizabeth Rogers, Zoomer. Avoid the Latest Hotel Scam by Cynthia Ross Cravit, Zoomer. How Scammers Make You Pay by Lois C. Greisman, Federal Trade Commission (FTC), Jan. 4, 2018. Watch a short video. "... nobody legitimate is ever going to say you have to pay by wiring them money, getting iTunes cards, or putting money on a MoneyPak, Vanilla Reload, or Reloadit card." Protect yourself against fraud from Canada Revenue Agency (CRA). According to the Canadian Bankers Association Fraud Prevention: "One example is a scam disguised as a mystery shopping program, where consumers are 'hired' as mystery shoppers and mailed a cheque which they are asked to deposit into their bank account. They are then asked to immediately return part of the funds once the transaction is complete. Because the cheque is fraudulent, it's returned unpaid and the customer would lose the amount sent to the fraudster." Fraud Prevention: Practice Safe Online Security With These Five Tips by Sarita Harbour, from RBC Royal Bank of Canada, March 1, 2017. 1. Create a Strong Password. 2. Don't Open Email from Unknown Senders. 3. Look for the Lock Icon. 4. Use All Available Security Feature. 5. Steer Clear of Public WiFi. ● Advice from RBC: If you receive a communication from Rogers Bank, the 'from' field and email domain should be recognizably from Rogers Bank (e.g. @rogersbank.com), and website links must always contain: 'https://www.rogersbank.com/'. If you receive a link that does not match this address or includes additional symbols or numbers (e.g. www.rogersbank1.com), please DO NOT click the link, open any attachments, or reply to the email. Please report any suspicious communications to Rogers Bank. ● Security Dangers of Public Wi-Fi. YouTube video, 2:37 min. Published on Jan 24, 2017 by Kaspersky Lab. Know the risks of using free public wi-fi networks. These security tips will help protect your device, as well as your identity and personal data from cybercriminals. Cyber Hygiene from Canadian Bankers Association. Cyber hygiene is a great way to think about the importance of taking regular steps to proactively protect your connected devices, such as mobile phones, laptops, desktop computers and smart appliances from cyber threats. Here's a primer on the most commons frauds and scams and how you can practice cyber hygiene to protect yourself. Beware of These 11 Facebook Scams by Robert Siciliano, April 13, 2018. If you are on Facebook, then you are putting yourself at risk of scams. The following activities are prevalent on Facebook and other social network sites, so keep your eyes open for them: 1. Hijacking Accounts. 2. Viral Videos. 3. Financial Identity Theft . 4. Social Media Identity Theft. 5. Burglary. 6. Corporate Spying. 7. Geo-Stalking. 8. Government Spying. 9. Who Viewed Your Profile? Scam. 10. Contest Scams. 11. Harassment. Beware of new Facebook 'Friend' request scam by Tim Hattrick, Komando.com, May 23, 2016. Terrifying New Facebook Scam from Internet Scam Alerts. Be wary of any request for money. How to stop third-party apps from using your Facebook data and protect your privacy by Serenity Caldwell and Rene Ritchie, 20 Mar 2018. 3. Click the Apps and Websites menu to see which apps/websites you're "Logged in with Facebook"
4. Tick those you'd like to stop sharing data with, and hit the blue Remove button. 5 tips to protect your privacy from Avast Blog. ● 1. Make sure everything is up to date. ● 2. Upgrade your Wi-Fi security. ● 3. Use stronger logins with strong passwords. ● 4. Use 2-factor authentication. Two-factor authentication, or 2FA, adds a second step by sending a code to your phone or requiring the answer to a security question. ● 5. Use a VPN. A virtual private network is your own personal encrypted connection to the internet. 23. Be diligent in preventing identiy theft. Identity theft and identity fraud from Canadian Anti-Fraud Centre. Identity theft protection following the Equifax data breach by Kristin Dohn, Consumer Financial Protection Bureau (CFPB), Sep 9, 2017. Identity Theft Is a Serious Crime - Resources from the U.S. Government. "Identity theft happens when someone steals your personal information and uses it without your permission. It's a serious crime that can wreak havoc with your finances, credit history, and reputation - and can take time, money, and patience to resolve." Be extremely cautious when entering contests online, request free brochures, free recipes, free quotes, respond to surveys, registering products online, etc. Never respond to unsolicited invitations or requests by providing them with your email address, your real name, date of birth, place of birth, social security number (social insurance number SIN in Canada), home address, telephone number, marital status, education level, place of employment, income, driver's license number, height and weight, ethnic or racial background, hobbies, and other pertinent information about you or that of your family members or friends. Check out A Chronology of Data Breaches for data breach alerts, and ZabaSearch.com or SearchSystems.net to see if detailed personal information about you is already accessible in thousands of free online public record databases by anyone at any time, with an option to obtain Background Checks on you. What Is Phishing? Email Hoaxes and Scams. Phishing (short for password harvesting fishing) is an online scam that attempts to trick or threaten unsuspecting users into sharing private information that miscreants later use for identity theft. From Smart Computing - Tip of the Day. Fraud Prevention Month: Four Ways to Protect Yourself From Phishing Trips and Digital Scams by Sarita Harbour, from RBC Royal Bank of Canada, March 1, 2017. Develop these four online habits to protect yourself from falling victim to cybercriminals: 1. Be Security-Savvy on Social Media. 2. Beware of Online Marketplaces. 3. Think Before You Click!! 4. Malware and Mobile Apps. How to protect yourself from "phishing" and email scams from BMO Capital Markets. These "phishing" (also called "brand spoofing") emails send you to web sites pretending to be legitimate companies that ask for your personal and financial information. How the scams work. How to identify the scam. How to help protect yourself. Advice: Always enter your BMO Financial Group web site using your bookmarks or any of BMO's published URLs. Review your financial statements regularly for unauthorized or suspicious transactions. Never send personal and/or financial information via unsecured email. Do not trust email headers. They can be easily forged. ● 1. Think before you click. If you get a strange request, don't recognize the company name, or are asked to open a link or download a file, don't click unless you're sure it's legit. ● 2. Verify the request. If the email sounds urgent or threatening, call the company directly - don't use the number provided in the email, look it up online. ● 3. Watch for popular phishing scams. Fake invoices, files from scanners or printers, email delivery failure messages, and order or travel confirmations are all popular disguises. ● 4. Report it. If you receive a suspicious email pretending to be from BMO, forward it as an attachment to online.fraud@bmo.com. And remember, BMO will never ask for your personal information or account details by email or phone. Reach out to BMO right away if you're concerned about suspicious activity. Phishing. Articles on Phishing from Avast Blog. Tips to stay protected from phishing and malwarefrom Dropbox. Vishing - Voice phishing from Wikipedia, the free encyclopedia. "Voice phishing is the criminal practice of using social engineering over the telephone system to gain access to private personal and financial information from the public for the purpose of financial reward. Sometimes referred to as 'Vishing', the term is a combination of 'voice' and 'phishing.'" Vishing: How to identify it and what to do about it by Marlene Eisner, from Canada411.yellowpages.ca. "Vishing" The term, which blends the word 'voice' with 'phishing,' refers to a telephone scam to trick people into revealing critical financial or personal information that can be used for identity theft. DO NOT FALL for any email phishing for your ID and password or asking you to update your banking or credit card info. Remember that your bank or credit card companies NEVER send you unsolicited emails to ask you to update your personal info online. The following is a real phishing attempt with an authentic-looking email from eBay Inc <infos@eBay.erorr.com>, and another from eBay Billing <ebay.security@ebay.intl.com> complete with official eBay logo phishing for important personal information - Subject: eBay New Security Measure! ● - In order to receive uninterrupted service, please update this information. - Asking you to provide, confirm or update your personal records. - From a third party address or link to a third party site. - Asking you to disclose your passwords, PIN#'s, or PVQs (Personal Verification Questions). - Containing no information about why you are receiving an e-mail from your Bank. - Requiring an urgent response from you. If you provided personal banking information through a link in a phising e-mail, reset your Online Banking password immediately. If you visited the fraudulent site, clear your browser's cache, then close it and reopen it before accessing your Online Banking again. See Online Banking Safety Tips from CIBC. 1. Phone fraud: Silent calls are often the first step in a phone fraud scheme that could lead to your identity being stolen or your bank account being drained. The silence on the other end of the phone is actually a computer gathering information about you; any small noise, like a cough, can signal to the computer that the number just dialed is an active line, answered by a human. Once the computer notes a person has answered the call, the numbers are gathered and sold to criminals, who use them to get personal information. Phone fraud can take many forms. In addition to silent calls, one of the most common types is vishing. 2. Telemarketing blips: In Canada, a silent call is a telephone call from a telemarketing agency that does not have an agent immediately available to handle the call when you answer. In this instance, the call may be suddenly terminated and you hear silence ("dead air") or you may hear a dial tone from the telephone company indicating the call has been dropped. In the United States, the Federal Trade Commission (FTC) in its regulations for telemarketers, refers to a silent call as an "abandoned call." How does a silent call work? The majority of silent or abandoned calls are made and caused by automated calling systems known as dialers, or predictive dialers. These dialers, mainly used in call centres, dial telephone numbers automatically and connect people to call centre agents as soon as the phone is answered. ● If you are being annoyed by silent calls, or unwanted calls from telemarketers, you can have your number put on the National Do Not Call Registry. This way, your telephone number will not be available to automatic dialers. You can also try blocking individual numbers to avoid specific callers. ● If you are still getting calls, you can complain about any that violate any unsolicited telecommunications rules (this includes automated dialing-announcing device rules). See below on how to file a complaint to Canadian Radio-television and Telecommunications Commission (CRTC). ● The next time you answer the phone and all you hear is silence, don't panic. In fact, don't say anything at all. Just hang up. You've most likely just avoided a pitch from a telemarketer or even better, foiled a possible plan for telephone fraud! 1. The telephone number at which you received the telemarketing call. 2. The telephone number and name of the telemarketer that appeared on the ID caller screen or that the person gave you over the phone. 3. The date of the call. 4. The exact time of the call as it appeared on the caller ID screen if you have this feature. 5. Whether the complaint relates to a fax, residential, or business number. 6. Any other information that you have about the call. 7. And then report any call you believe to be fraudulent to the Canadian Anti-Fraud Centre at 1-888-495-8501 or http://www.antifraudcentre.ca." ~ Above information comes from Carol In Your Corner: Scammers Never Rest by CARP. Sick of annoying calls? 6 ways to block unwanted phone numbers. Whether it's a pushy telemarketer or someone you just don't want to speak to, technology makes it easy to block phone numbers and prevent certain callers from getting through to you. Here are 6 ways to help end those annoying calls. How to file a complaint against annoying telemarketers by Marlene Eisner, Canada411.yellowpages.ca. Does having caller ID help screen calls? The point of caller ID is to allow us to identify who is calling and if we wish to speak to that person. However, some sly telemarketers will mask or falsify the caller ID by using a practice called "spoofing", a strong indication the call may not be legitimate. 1. Register your number with the National Do Not Call List (DNCL) - Some are exempt from the DNCL rules including telemarketing calls made by, or on behalf of: Canadian registered charities, Political parties, riding associations and candidates, and Newspapers of general circulation for the purpose of soliciting subscriptions. 2. Answer your phone to gather information that CRTC could use against people or companies that don't comply with the DNCL guidelines. Any other information you have that relates to the call. "Do not expect calls to stop immediately. Telemarketers have up to 31 days to update their lists and to make sure they do not call you. You could still receive calls within those first 31 days. Registering on the National Do Not Call List (DNCL) will not eliminate all telemarketing calls. There are exemptions within the Rules that may allow calls from organizations such as charities, those with whom you have existing business relationships, political parties and newspapers. You can further reduce unwanted telemarketing calls by asking these organizations to place your number(s) on their own do not call list." Do Not Call registrations don't expire by Amy Hebert, Consumer Education Specialist, Federal Trade Commission (FTC), Jan. 26, 2018. Ask Stacy: How Can I Stop Robocalls, Junk Mail and Spam? Article by Stacy Johnson, Money Talks News, August 19, 2016. "The bad news: There's no way to completely eliminate junk calls, mail and email. The good news: You can slow the flood to a trickle in a matter of minutes. Here's how." Article includes: How to Stop Robocalls: Android Robocall Blocking, BlackBerry Robocall Blocking, iOS Robocall Blocking, Windows Robocall Blocking. Some links provided in this article work for residents in the United States only. Ask Stacy: How Can I Stop These Darn Robocalls? From Money Talks News, January 17, 2018. "More than 2 billion times each month, an American gets an unsolicited, illegal robocall. Here's how to make them stop." 1. Register your number - Online: www.lnnte-dncl.gc.ca. By phone: 1-866-580-DNCL (3625). Via TTY: 1-888-DNCL-TTY (362-5889). 2. Answer the call - Even if you're sure it's a telemarketer. 4. File the complaint - Online: www.lnnte-dncl.gc.ca. By phone: 1-866-580-DNCL (3625). Via TTY: 1-888-DNCL-TTY (362-5889). CRTC will act - To bring violators into compliance. Stop Unwanted Calls and Texts from the Federal Communications Commission (FCC). The FCC regulates interstate and international communications by radio, television, wire, satellite, and cable in all 50 states, the District of Columbia and U.S. territories. Contents include: Robocalls, Call Blocking Resources, Spoofing, 'Do Not Call' List, Spam, File a Complaint, Download Consumer Education Materials. 10 Things You Can Do to Avoid Fraud from Federal Trade Commission Consumer Information. Spot imposters, Do online searches, Don't believe your caller ID, Don't pay upfront for a promise, Consider how you pay - "Wiring money through services like Western Union or MoneyGram is risky because it's nearly impossible to get your money back." Talk to someone, Hang up on robocalls, Be skeptical about free trial offers, Don't deposit a check and wire money back, Sign up for free scam alerts from the FTC at ftc.gov/scams. How to Minimize Your Risk of Smartphone Hacking from Privacy Rights Clearinghouse, Posted June 24, 2016. 10 tips to protect against an email hack from Avast Blog. ● 1. Use a password manager and two-factor authentication (2FA) wherever possible. ● 2. If signing up for a new email service, check for 2FA support. ● 3. Don't click links in email or texts . ● 4. 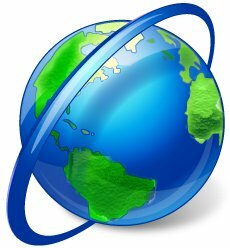 Use a VPN on your computer and your phone. ● 5. Don't use public Wi-Fi or public computers, if you can help it. ● 6. Get a strong antivirus. ● 7. Secure your router and Wi-Fi. Ensure you change the admin password for your router and set your Wi-Fi password to something really strong that a hacker could not crack. ● 8. Keep your computer and smartphone OS up-to-date. ● 9. Keep all of your computer and smartphone apps regularly updated. ● 10. Consider putting a credit freeze on your account. 12 Signs Your Computer Has Been Hacked. YouTube video, 9:31 min. Published on Oct 3, 2017 by BRIGHT SIDE. There are important signs your computer has been hacked and your data has been stolen. Learn the easiest ways to protect your computer from hackers. Free credit freezes from Federal Trade Commission (FTC) Consumer Information. "Security freezes, also known as credit freezes, restrict access to your credit file, making it harder for identity thieves to open new accounts in your name. Starting September 21, 2018, you can freeze and unfreeze your credit file for free. You also can get a free freeze for your children who are under 16. And if you are someone's guardian, conservator or have a valid power of attorney, you can get a free freeze for that person, too. How will these freezes work? Contact all three of the nationwide credit reporting agencies - Equifax, Experian, and TransUnion. If you request a freeze online or by phone, the agency must place the freeze within one business day. If you request a lift of the freeze, the agency must lift it within one hour. If you make your request by mail, the agency must place or lift the freeze within three business days after it gets your request. You also can lift the freeze temporarily without a fee. Don't confuse freezes with locks. They work in a similar way, but locks may have monthly fees. If you want a free freeze guaranteed by federal law, then opt for a freeze, not a lock." Why you might want to wrap your car fob in foil by Phoebe Wall Howard, Detroit Free Press, July 6, 2018, Updated Jan 1, 2019. Time to Wrap Your Key Fob in Tin Foil by Anthony Alaniz, Jan 2, 2019. 7 tips for staying safe on the web from Google. See also other safety related issues: Phishing, Malware, Secure sites, Safe networks, Mobile security, Check your Gmail account, Family safety, Shopping safety, Locking your screen, Passwords, and Google's security tools. 100 Ways to Prevent Identity Theft from Elite Personal Finance. Tips to Protect Yourself from Identity Theft from Ezinae Articles. Escrow.com. Protects Online Buyers and Sellers from Fraud. For Buyers: Receive merchandise before the Seller is paid. For Sellers: Protect yourself from credit card and payment fraud. Immediate Steps to Repair Identity Theft from Federal Trade Commission. FTC's Identity Theft Site: Deter-Detect-Defend Avoid ID Theft. How to Spot Cashier's Check Fraud - Examples of Scams by Justin Pritchard, Banking/Loans Expert. Beware of check fraud: Counterfeit cashier's check scams are alive and well. Consumer Reports, 7 March 2014. Identity Theft Protection Quiz from TD Bank. How to Protect Yourself from Identity Theft from Canada Post. How to recognize phishing e-mails by Elinor Mills, News CNET. A Phew Phishing Phacts. Blog - Datababe's Doodlings or Natterings of a Nerd. Identity Theft and Identity Fraud from United States Department of Justice. Identity Theft. Canadian Consumer Handbook. Client Identity Theft Checklist: Action Steps for Recovery from Payan & Payan CPAs, 2017. Identity Theft Checklist from U.S. Department of Justice. According to a survey by the Federal Trade Commission, ID Theft is the fastest growing crime in America - over 9 million victims per year. Identity Theft and Identity Fraud From Canadian Anti-Fraud Centre. Fraud and Identity Theft - Fraud Victim Assistance Department (FVAD) at TransUnion. Learn how TransUnion can help you if you are a victim of fraud or read tips on how to avoid becoming a victim of fraud. Internet Fraud, Common Fraud Scams, Internet Scams, Frauds Targeting Senior Citizens from Federal Bureau of Investigation (FBI). Avoiding 'open enrollment' scams by Andrew Johnson, Consumer Education Specialist, Federal Trade Commission (FTC) Consumer Information, November 14, 2017. Phishing Scams from Canadian Anti-Fraud Centre. Top 4 scams identity thieves love. Video from Yahoo, 3:11 min. Tips for Reducing the Risk of Identity Theft from Department of Justice and Public Safety, New Brunswick. Identity Theft and Data Breaches - Fact Sheets: How to Reduce Your Risk of Identity Theft, Identity Theft: What to Do if It Happens to You, How to Deal with a Security Breach, Criminal Identity Theft: What to Do if It Happens to You, Identity Theft Monitoring Services. The Internet Crime Complaint Center (IC3) is co-sponsored by the Federal Bureau of Investigation (FBI) and the National White Collar Crime Center (NW3C). Filing a Complaint with the IC3. The IC3 accepts online Internet crime complaints from either the actual victim or from a third party to the complainant. Complaints filed via this web site are processed and may be referred to law enforcement/regulatory agencies for possible investigation. Canadian Anti-Fraud Centre (CAFC) from Government of Canada. Recognize it. Report it. Stop it. (Formerly Project PhoneBusters). The CAFC is the central agency in Canada that collects information and criminal intelligence on mass marketing fraud (telemarketing), advance fee fraud letters (e.g. West African), internet fraud and I.D theft complaints. If you live in the Peel Region and you are a victim of a serious scam, you may wish to call the Peel Regional Police at 905-453-2121 or the Canadian Anti-Fraud Centre at 1-888-495-8501. Don't Become a Target: Make Smart Choices to Protect Your Privacy from Privacy Rights Clearinghouse, Jan 27, 2014. Monitor your financial accounts, Credit cards are better than debit cards - Always, Watch out for fraudsters, Never give sensitive information out to anyone who calls you, Watch for fraudulent emails, Keep up with your credit reports. In the U.S., you are entitled to one FREE credit report per year from each of the three credit bureaus. Best to order one report every four months from each bureau. Only do this through the official site: Annual Credit Report.com. In Canada, your free credit report is called a "credit file disclosure" by Equifax Canada and a "consumer disclosure" by TransUnion Canada. It does not include your credit score. You can order your credit report FREE of charge once per year by mail, fax or telephone, and you must receive it by mail or in person. If you choose to access it online, you will have to pay a fee. Best to order one report every 6 months from each bureau. Equifax Canada phone: 1-800-465-7166. TransUnion Canada phone: 1-800-663-9980. Have required info handy when you call: SIN, credit card, DOB, house number, postal code, home phone, bank info, employer, etc. See How to order your credit report from Government of Canada. 24. How can you tell if the email originates from a legitimate source? Check the HTML code to see where the link really goes and check the detailed headers to see where the email is coming from. If you are suspicious that the email address is not a real one and cannot be tracked, don't reply to that email, but go directly to the company's URL, then type in the company's good email address to send your reply. See Spoof (Fake) Emails Tutorial from eBay. 25. Be sure the email address of your recipient is correct. If the user name is unknown, your email will not be delivered and you will receive an error message from the Mail Delivery System. If you have the wrong user name but it exists, you may be sending your email to a total stranger somewhere in cyberspace. 26. Before rushing off an email composed in anger or frustration, send it to yourself first. If you still feel the same way in 24 hours and have no regrets, forward a gentler, modified version to your intended recipient. 27. NEVER open an email attachment with the extension .exe .EXE (Executable file), or .jpg .JPG, .jpeg .JPEG (commonly used graphics file format) or .wmf .WMF (Windows Meta File) no matter how trusted the source without first scanning it with updated anti-virus and anti-spyware software. Don't go by what you see in the surface header because the usual, familiar-looking email address may be disguised and not be genuine. Be sure to check the detailed email headers to verify that the email originates from a legitimate source. Please note this word of caution from Brent Chivers: Spam and viruses routinely forge the sender address, so the true origin of a message is often not what the visible headers show. (Received Nov 13, 2013) Info re: CryptoLocker. CyrptoLocker is a malicious program known as ransomware. This type of malware usually stops you from using your computer until you pay a certain amount of money (ransom). The most common infection vectors for CryptoLocker are spear-phishing e-mails with malicious attachments. The attachment is usually a zip file containing a PDF file which, when opened, executes CryptoLocker. a) Hover your mouse pointer over the link BUT DO NOT CLICK. Look at the address within the link. If it is not what you are expecting to see, don't click it! 28. Never respond to email messages that ask you to dial a certain unknown phone number. Some area codes such as 473 or 900 could cost you a bundle. 29. To avoid sending attachments that may contain viruses to friends, do not send a Web page link as an attachment, copy the URL and paste it into the text of your email. 30. Don't subscribe to any email that you don't absolutely need. Often when you enter a contest to win something, you are not only giving away your name, address and phone number, you may be subscribing to newsletters and soliciting ads by giving away your email address to numerous other unknown businesses. You will likely be flooded with spam mail shortly after entering the contest. 31. Unsubscribe (or block) all unwanted email subscriptions that you are currently receiving, but be wary of the sites from which you are unsubscribing. One trick is to ask you to unsubscribe by carefully entering your email address. Your correct and confirmed email address may then be sold or passed on to others without your permission or knowledge. 32. Never click on any suspicious junk email out of curiosity as that will constitute a response, and a response is a confirmation to the sender that this is your correct email address. You are asking the sender to please spam you some more, and do sell this live, accurate and updated email address to someone else without your permission. Find out - How do spammers harvest email addresses? By Uri Raz. DO NOT respond to unsolicited email such as this: "Please forward this to everyone you know ..." for any reason. If you did, you will likely be adding email addresses of your friends and relatives to spammers, passing on any virus contained in links in the original email, as well as adding unnecessary clutter to the Internet. 33. Use the BLOCK SENDER feature to stop annoying e-mail coming from sources that won't allow you to unsubscribe or e-mail addresses that do not really exist and you cannot get rid of. 34. Use the FILTER feature to send unwanted in-coming email directly to TRASH and not to your INBOX. You may wish to open a Gmail account (free email from Google). You will get less spam as junk email is not sent directly to your INBOX with gmail.com. If you do get anything in the spam folder, gmail will tell you how many there are, and you can quickly delete all spam email messages without reading any of them by clicking on "Delete all spam messages now". Of course, you have an option to read or move them, or to "Delete Forever" as you wish. 35. Do not mix the use of your good personal email account with the use of a junk email account. Guard your personal account by not giving your email address to just anyone. Open a free junk email account for use with the public, to register for access to Web sites, to participate in forums, to enter contests, to request coupons, to get free estimates, to ask questions or submit comments to banks or other institutions, to receive potentially useless, annoying, or obnoxious email, etc. 36. Empty BULK mail and TRASH frequently if they are not automatically removed. All of the messages can be deleted easily by clicking FROM and DELETE without having to read any of them. Save anything you wish to keep in DRAFT or in your own created KEEP folder, and it will stay in that folder until you delete it. 37. Add the following at the end of your email if you do not want your receiver (Addressee) to broadcast or forward your email to someone else without your written consent: (Note: There is no guarantee that the Addressee will honor your request). Sample 1: This document and/or attachment contains confidential and/or privileged information. The rights to privilege have not been waived. Copyright is owned by I. Lee (enter your name or company name) without whose written permission, none of this document may be excerpted, reprinted, or forwarded to anyone. Sample 2: This message is intended only for the use of the addressee and may contain information that is privileged and confidential. If you are not the intended recipient or have received this communication in error, you are hereby notified that any unauthorized use or disclosure is strictly prohibited. Please notify the sender immediately and delete the original without making a copy or disclosing its contents. Sample 2 (in French, for bilingual Canadian users): Le présent message s'adresse exclusivement à son destinataire et peut contenir des renseignements privilégiés et confidentiels. Si vous n'êtes pas le destinataire de ce document ou si vous l'avez reçu par erreur, vous êtes par la présente avisé qu'il est strictement interdit de le divulguer ou de l'utiliser sans autorisation. Veuillez en avertir l'expéditeur immédiatement et détruire le message original sans le copier ou en révéler le contenu. Sample 3: The information transmitted in this electronic message is confidential. It is intended for the exclusive use of the person to whom it is addressed and may not otherwise be read, distributed, copied or disclosed. Sample 4: Confidentiality Note: This message is intended only for the use of the named recipient(s) and may contain confidential and/or proprietary information. If you are not the intended recipient, please contact the sender and delete this message. Any unauthorized use of the information contained in this message is prohibited. 38. Always print, or save on disk or hard drive, a copy of important email you have received or have sent to someone. 39. When you send email messages using To: and Cc: (Carbon Copy) the names or email addresses will be visible to all recipients. If you use Bcc: (Blind Carbon Copy) the names or email addresses of the recipients will not be visible to either the To: or the Cc: recipients. If you want a record of the people to whom you have sent a Bcc: message, you will need to save or print the DRAFT before you hit SEND. Even if there are several people on your Bcc: list, each person can only view one name, the recipient himself or herself whose email address the message was sent to. The To: and Cc: names, however, remain visible to all. 40. Bcc: is a very private way to send email messages. When you use Bcc: it will not allow that recipient to further forward other email addresses onto someone else since other Bcc: email addresses are not visible to the recipient. 41. When forwarding an email message to someone, remove the original sender's email address unless it is the wish of the original sender that you forward his or her email address to your recipient along with the message. 42. Don't add unnecessary clutter to the Internet by forwarding chain letters to show that you are a caring and loving person, or to bring luck to yourself and to 5, 10, 20 or more other people by email. 43. Don't send free eCards accompanied with music, sentimental or spiritual messages, animated cartoons and the like to your friends and relatives as all their email addresses as well as yours may become readily available for sale to third parties without your knowledge or consent. Don't be surprised that you and your friends suddenly receive tons of spam mail shortly after sending or picking up an e-card. 44. Spam is unsolicited commercial email that has become an extremely serious problem on the Internet. Learn about the new Canada's Anti-Spam Legislation effective July 1, 2014. "Canada's anti-spam legislation (CASL) is in place to protect Canadians while ensuring that businesses can continue to compete in the global marketplace. IF YOU USE ELECTRONIC CHANNELS TO PROMOTE OR MARKET YOUR ORGANIZATION, PRODUCTS OR SERVICES, CANADA'S NEW ANTI-SPAM LAW MAY AFFECT YOU. It is your duty to understand and comply with the law ... Fact: There are no automatic penalties. The CRTC has a range of enforcement tools available, from warnings to penalties (up to $1 million for individuals and $10 million for businesses)." See also Spam in the Virtual Library for more info and free downloads of anti-spam software. 45. Learn to search effectively online as information on the WWW is not systematically organized. 46. Set a time or item limit for research and try sticking to it. 47. If you have a task to perform, don't allow cyber ads to distract you, stay focused on your task. 48. Do not become overly addicted to the Internet and ignore your loved ones in the process. 49. Bookmark your favorite sites. 50. Immediately print or save information that you find useful, for you may never see the same site again. 51. Make backups of all data that you don't want to lose. 52. Keep important CDs, DVDs, boot disks, rescue disks, tape backups, etc. readily available for emergency use. 53. If your system is terribly fouled up, and you don't have a program that would sweep it clean and fix it for you, you may need to take the drastic step to format your entire hard drive and reinstall everything from scratch. Check out Tools for Webmasters for useful clean-up or fix-it tools, but use such software cautiously so as not to throw out the baby with the bath water by wiping out needed files along with the junk. 54. Never delete important system files that you have no clue as to what they are being used for. 55. Always use UNINSTALL instead of DELETE to get rid of unwanted programs if you have an option. 56. To UNINSTALL or remove a program you don't want, go to Start - Settings - Control Panel. Click on Programs and Features and choose Uninstall a Program. Select a program from the list, then click "Uninstall". Depending on the operating system you use, the commands may be slightly different. 57. Clean out the cache or close and exit the program after banking online, especially if you are using public computers. Do delete useless files and email messages regularly at your own computer. 58. Every now and then CLEAN OUT all your cookies to eliminate offensive email or unwanted ads. The procedure to wipe out cookies may vary with different browsers. If using Internet Explorer, click on Tools, select Internet Options. Under Temporary Internet files, click on Delete Cookies box, click OK to Delete all cookies in the Temporary Internet Files folder. The cookies that you need and want will come back when you access those sites the next time. 59. Be watchful of spyware residing in your computer often without your knowledge or consent. Such software violates your privacy, continuously uses memory on your computer when you are surfing, and adds to more clutter on the WWW. Spyware is generally used to track or trace all your Internet usage in detail and the information thus gathered is sent to the software developer. Such information may be sold to third parties or used for other purposes not to your liking. 60. It is a good idea to install a reputable spyware detection and removal program on your computer. You can download for free a copy of AVG Free Anti-Virus - Free antivirus and anti-spyware, HouseCall from Trend Micro, a free online virus and spyware scanner, Spybot Search & Destroy, Ad-Aware, Spyware Blaster, or SUPERAntiSpyware, ">SUPERAntiSpyware. The purpose of anti-spyware software is to scan your computer system to detect any software components that you don't want or are not aware of their existence on your system, and to provide you with an option to remove these hidden cookies. See Security & Spyware for more free downloads of Spyware Removal programs. 61. Check out Safety on the Internet from The Police Notebook, Online Safety Resource Guide from ReviewLab, Awareness and Prevention, Free Tools, Apps, and Trials from TrendMicro. Trend Micro offers a range of free tools to protect your devices and help you manage your online activity. ● 10 secrets to uncovering which online reviews are fake from Market Watch, Dec 10, 2018. 62. Be wary of using P2P Peer-to-Peer software. Info from Wikipedia, the free encyclopedia. Take note of Copyright Infringement Liability, Data Security, Spyware, Viruses, and other associated problems. 63. Health comes first. Be kind to your body and make sure that it gets the proper exercise, nutrition, and rest that it deserves. ● How to Survive the Internet by Janet Williams, Seattle. ● Internet addiction disorder from Wikipedia, the free encyclopedia. "Internet addiction disorder (IAD) is now more commonly called problematic internet use (PIU) or compulsive internet use (CIU). Other overlapping terms include internet overuse, problematic computer use or pathological computer use - and even iDisorder. These terms avoid the word addiction and are not limited to any single cause, but only reflect a general statement about excessive computer use that interferes with daily life." ● Internet Addiction Test (IAT) - A test for online users to determine if you may be addicted to the Internet. ● Center for Internet Addiction Recovery. ● Internet Addiction from BBC.co.uk. ● Internet Addiction: The Emergence of a New Clinical Disorder - in PDF, 13 pages by Kimberly S. Young, University of Pittsburg, at Bradford. ● Internet Addiction: Symptoms, Evaluation, and Treatment - in PDF, 17 pages by Kimberly S. Young.